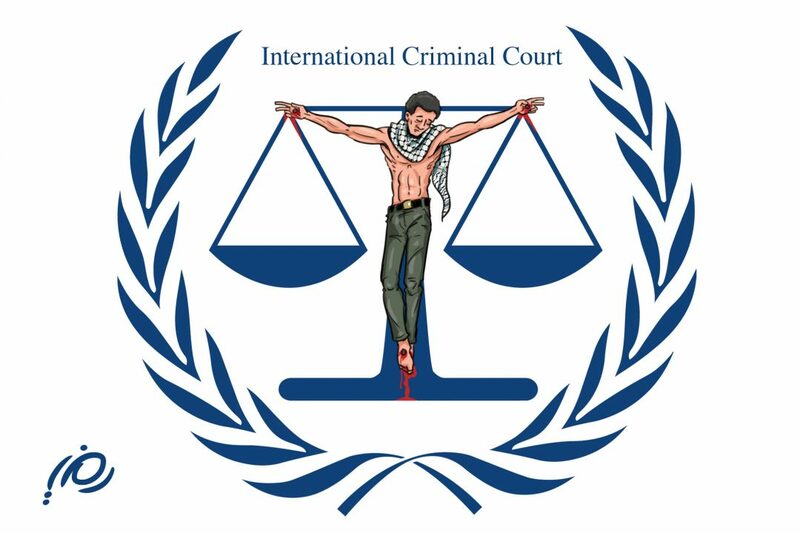 Will Palestine ever get justice at the ICC? 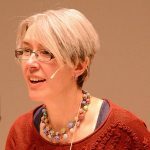 Our international justice coordinator Janet Anderson explains why accountability may still take some time. The ICC is a members only club – if you want to the court to be involved, you have to join it. Do the Palestinians really want to join? What would really happen in The Hague? First off, a bit of history. The PA started asking to join way back in 2009, but the last prosecutor Luis Moreno Ocampo, spent three years thinking about it. And then answered that the Palestinians needed to be a state first. In November 2012 they became a “non-member observer state” at the UN. And since then the PA has joined lots of international treaties. But apparently that isn’t enough. The current prosecutor, Fatou Bensouda, says the Palestinians now need to apply formally to join the ICC. Only then can she look into any potential crimes. If Palestine does join it automatically would come under the ICC’s jurisdiction. But that doesn’t mean an investigation would automatically begin. Alongside joining the court the PA should also refer a “situation” to the prosecutor – and that could be the recent war in Gaza. In fact the prosecutor could decide to go ahead herself with an investigation without the PA’s referral, so long as she has the backing of three ICC judges, but that’s a high risk strategy as can be seen in the current problematic Kenya cases. But next the question would be whether the Palestinians had given the ICC authority to investigate cases that occurred before it officially joined the ICC, and if so, from what date. The ICC began in only July 2002, when its rules came into force. Nothing before that date can be investigated. And there’s also the issue of what land exactly the Palestinian state exactly consists of – how far does statehood really extend – which could be challenged if a case came to court. After that the Office of the Prosecutor also has to decide a number of issues to see whether any case is admissible. First off, there’s “complementarity” – meaning whether the authorities on the ground have conducted their own investigations or trials or issued punishments. Then there’s gravity – the scale of the crimes, what the crimes were, how they were committed and what impact they’ve had. On the court’s books right now there still are ten situations which the Prosecutor hasn’t yet decided whether to investigate fully or not. In addition, the ICC could decide that not only Israeli actions on Palestinian territory, but also actions by Palestinians in another country could be examined and prosecuted. In the Darfur situation which the UNSC referred to the ICC, it’s not only members of the government who face prosecution, but also rebel leaders for their alleged involvement in a war crime. Another thing to take into account is that the ICC has no police force. So arresting anyone relies on international cooperation. The president of Sudan Omar el Bashir hasn’t been arrested despite the genocide charges he faces at the ICC. In short, any declaration by president Abbas will only be the start of a very drawn out process. Janet H. Anderson is the Project Manager at Justice Hub. Our international justice coordinator Janet Anderson explains why accountability may still take some time. The ICC is a members only club – if you want to the court to be involved, you have to join it. Do the Palestinians really want to join? What would really happen in The Hague? First off, a bit of history. <strong>The PA started asking to join way back in 2009</strong>, but the last prosecutor Luis Moreno Ocampo, spent three years thinking about it. And then <a href="http://www.icc-cpi.int/en_menus/icc/structure%20of%20the%20court/office%20of%20the%20prosecutor/comm%20and%20ref/pe-cdnp/palestine/Pages/palestine.aspx">answered</a> that the Palestinians needed to be a state first. In November 2012 they became a “non-member observer state” at the UN. And since then the PA has joined lots of international treaties. But apparently that isn’t enough. The current prosecutor, Fatou Bensouda, <a href="http://www.theguardian.com/commentisfree/2014/aug/29/icc-gaza-hague-court-investigate-war-crimes-palestine">says</a> <strong>the Palestinians now need to apply formally to join the ICC</strong>. Only then can she look into any potential crimes. If Palestine does join it automatically would come under the ICC’s jurisdiction. But <strong>that doesn’t mean an investigation would automatically begin</strong>. Alongside joining the court the PA should also refer a “situation” to the prosecutor – and that could be the recent war in Gaza. In fact the prosecutor could decide to go ahead herself with an investigation without the PA’s referral, so long as she has the backing of three ICC judges, but that’s <strong>a high risk strategy</strong> as can be seen in the <a href="https://thehaguetrials.co.ke/">current problematic Kenya</a> cases. But next the question would be whether the Palestinians had given the ICC authority to investigate cases that occurred before it officially joined the ICC, and if so, from what date. The ICC began in only July 2002, <a href="http://www.icc-cpi.int/en_menus/icc/legal%20texts%20and%20tools/official%20journal/Pages/rome%20statute.aspx">when its rules came into force</a>. <strong>Nothing before that date can be investigated</strong>. And there’s also the issue of what land exactly the Palestinian state exactly consists of – <strong>how far does statehood really extend</strong> – which could be challenged if a case came to court. After that the Office of the Prosecutor also has to decide a number of issues to see whether any case is admissible. First off, there’s “complementarity” – meaning <strong>whether the authorities on the ground have conducted their own investigations or trials</strong> or issued punishments. Then there’s gravity – the scale of the crimes, what the crimes were, how they were committed and what impact they’ve had. On the court’s books right now there still are <a href="http://www.icc-cpi.int/en_menus/icc/structure%20of%20the%20court/office%20of%20the%20prosecutor/comm%20and%20ref/Pages/communications%20and%20referrals.aspx">ten situations</a> which the Prosecutor hasn’t yet decided whether to investigate fully or not. In addition, the ICC could decide that not only Israeli actions on Palestinian territory, but <strong>also actions by Palestinians in another country could be examined and prosecuted</strong>. In the <a href="http://www.icc-cpi.int/en_menus/icc/situations%20and%20cases/situations/situation%20icc%200205/Pages/situation%20icc-0205.aspx">Darfur situation</a> which the UNSC referred to the ICC, it’s not only members of the government who face prosecution, but also rebel leaders for their alleged involvement in a war crime. Another thing to take into account is that <strong>the ICC has no police force</strong>. So arresting anyone relies on international cooperation. The president of Sudan Omar el Bashir hasn’t been arrested despite the genocide charges he faces at the ICC. In short, any declaration by president Abbas will only be the start of a very drawn out process.